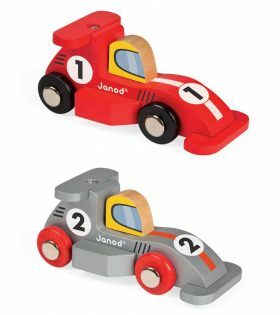 This wind-up car has a sporty design for high speed! 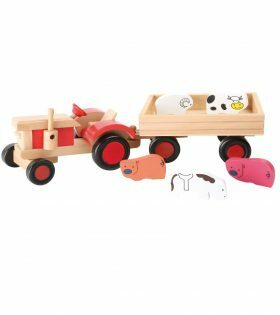 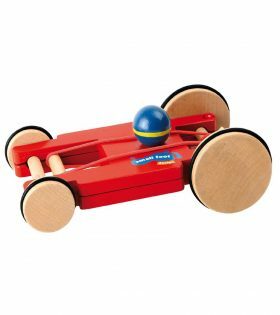 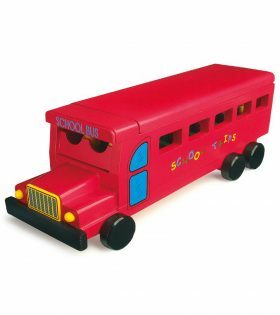 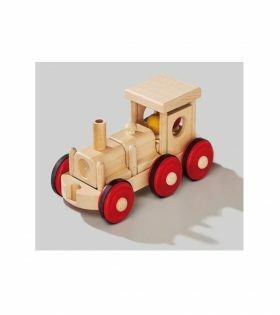 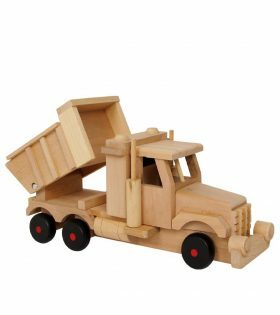 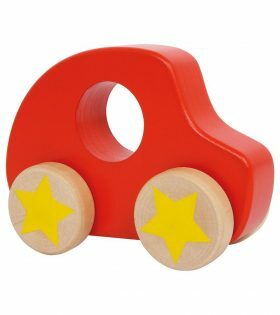 With the wood and rubber tyres on the four wheels and the streamlined shape this robust and compact toy car makes good contact with the track. 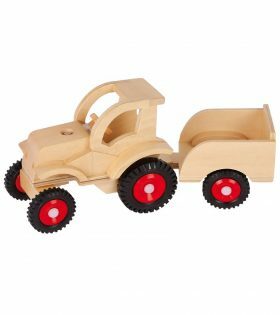 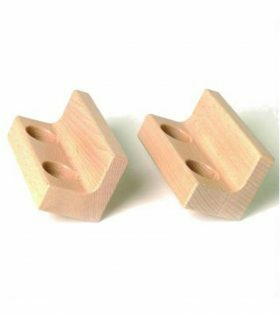 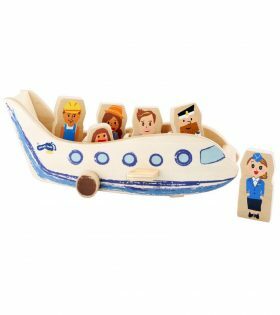 The special feature – with the rubber band and a small wooden device it can be wound up with the back wheels. 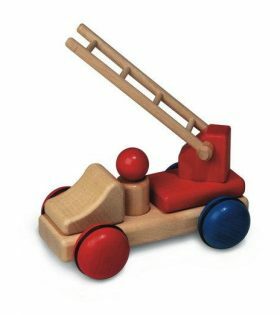 When it is released it is hard to stop! 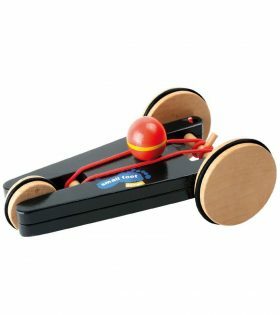 This wind-up car has a sporty design for high speed! 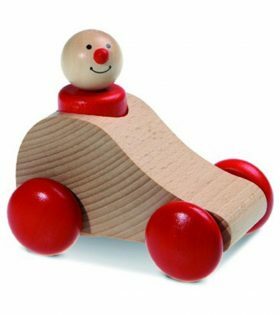 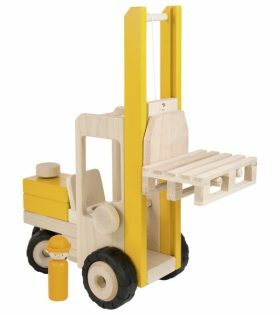 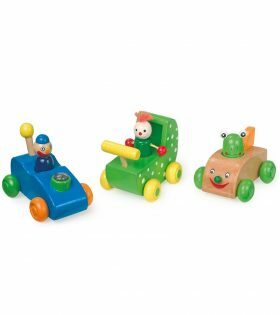 With the wood and rubber tyres on the three wheels and the streamlined shape this robust and compact toy car makes good contact with the track. 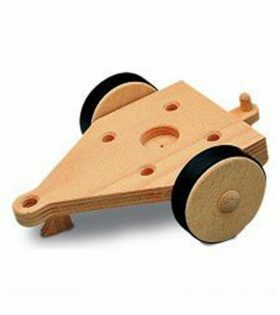 The special feature – with the rubber band and a small wooden device it can be wound up with the back wheels. 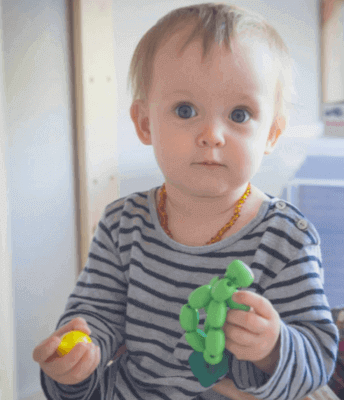 When it is released it is hard to stop! 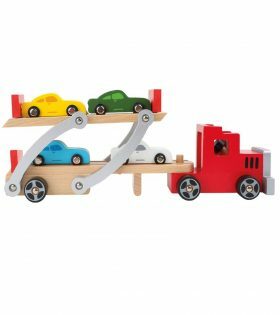 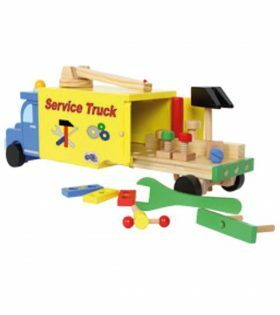 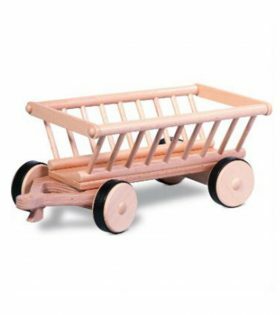 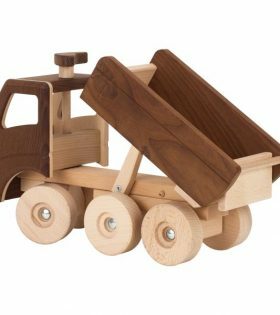 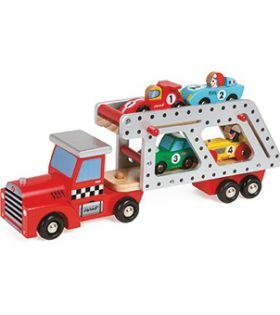 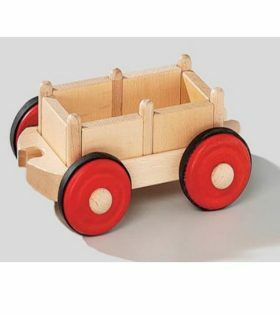 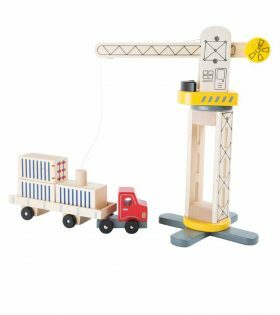 Car Transporter by Legler is a strong transporter truck which can load upto 4 wooden cars. 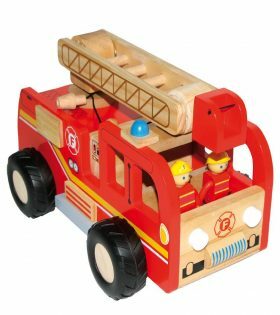 Equipped with a barrier, it is a perfect play toy for kids.